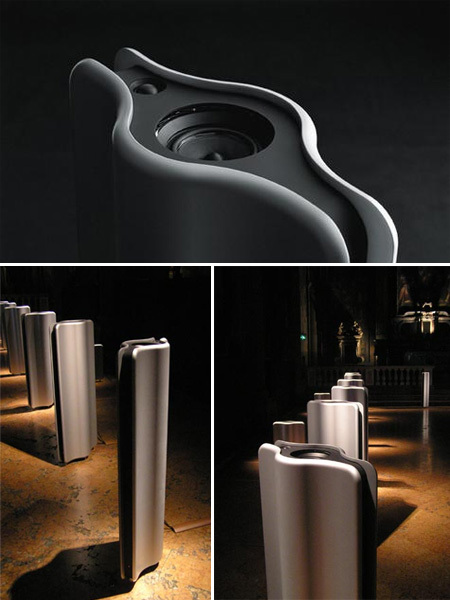 Modern speakers and creative sound systems from all over the world. 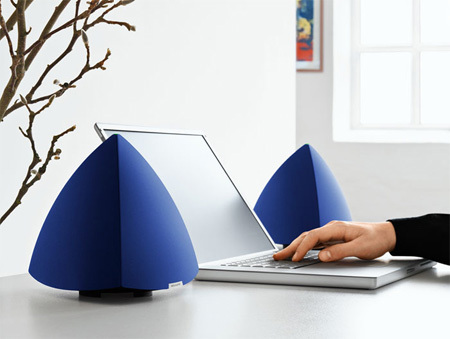 Created by Japanese designer Kunihiro Tsuji, a single Modal speaker is able to deliver ambient sound due to the vertical sound emission. 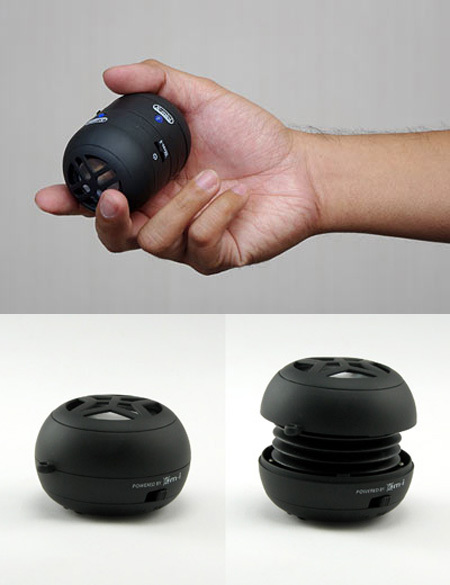 Just pop open the capsule and extend the speaker – this opens the resonance chamber and increases bass response. At full charge, the speaker can run for nearly 8 hours. 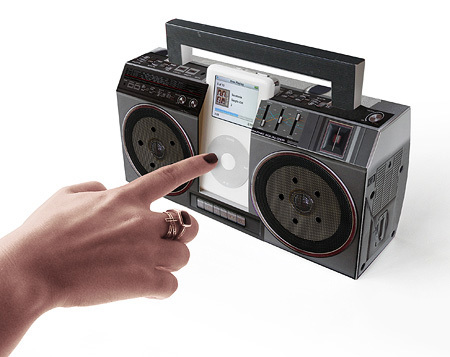 “Fold it yourself” mini Boom Box stereo for your iPod or other MP3 player. Complete with real, fully working and amplified speakers. 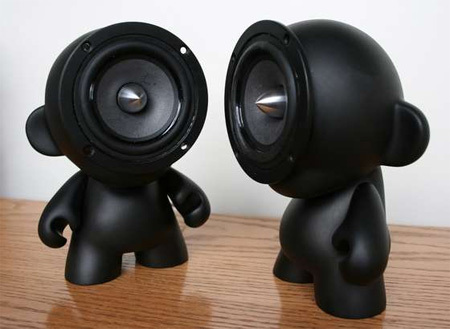 Learn how to create your own Munny speakers out of a vinyl doll. Sometimes bigger IS really better, especially when it comes to sound. These speakers are 500 times the size of the original iPod earbuds. 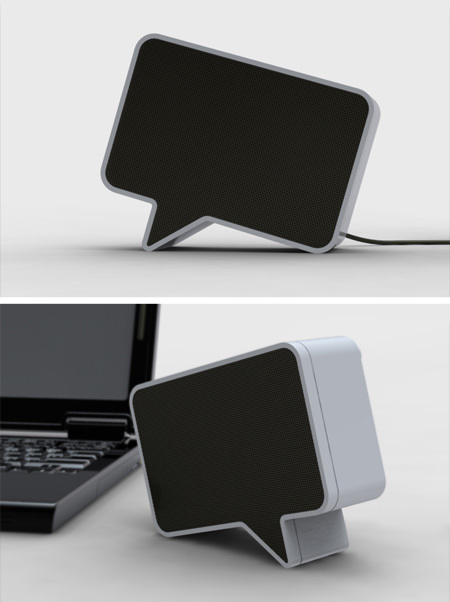 Speak-er are high-qualtiy multimedia speakers that plug directly into your computer or MP3 player. Simply plug in your audio source into the included transmitter and roll the Freewheeler around your house, it will play your tunes remotely. 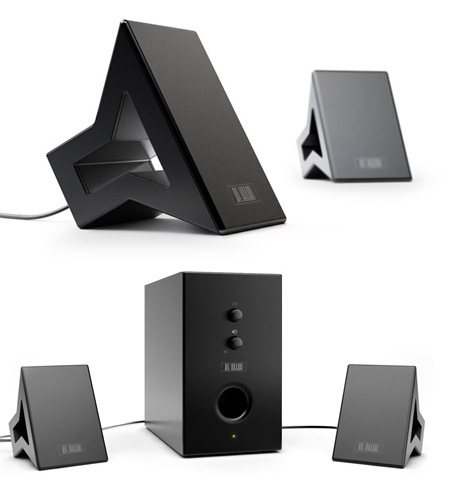 Sonicum is a 3-piece speaker subwoofer set. It can be connected to the line-in port of any audio source, such as a CD player, a computer, or a synthesizer. 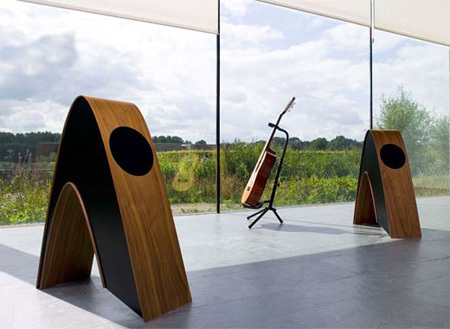 Danish company Davone’s Rithm speaker combines top-quality sound with a parabolic work of art. Speaker Buddies are designed to work in pairs. They can be placed in any environment and as they are lightweight they can be moved with little effort. 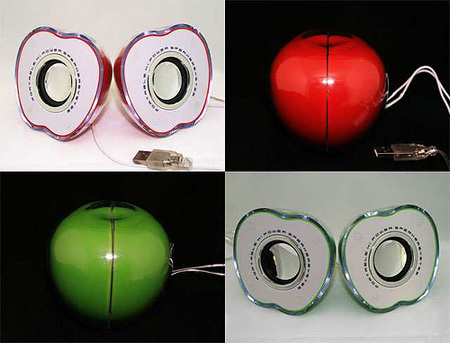 Creative apple shaped digital USB Laptop speakers. 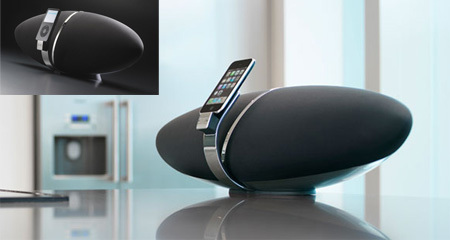 Zeppelin is an integrated iPod speaker system from Bowers & Wilkins, the makers of the speakers that much of the music on your iPod will have been made using. Two Reson8 speakers and a passive subwoofer provide enhanced audio sound and give life to every song. Select your favorite color or let the color cycle set the scene. Mix it up! 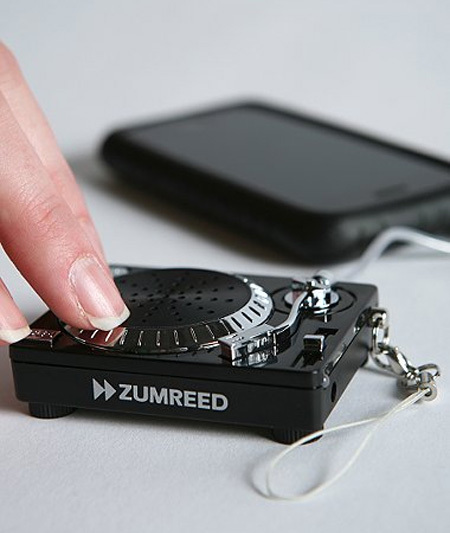 Tiny turntable-style speaker allows you to not only amplify your music, but let’s you scratch (ie – add fun preprogrammed sound effects to your jams) as well. 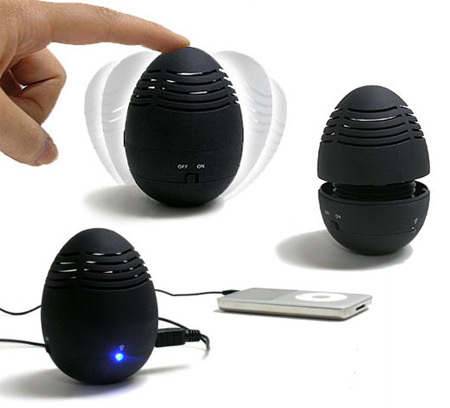 Creative egg-shaped speakers allow you to wobble them like a Weeble while you listen to your tunes. 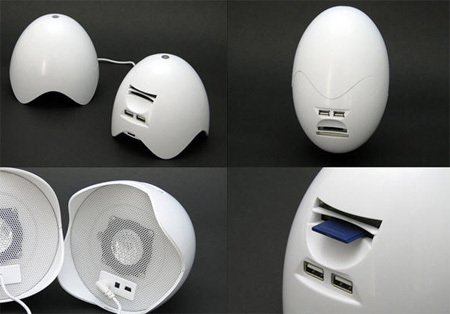 Multifunction at its best, a 3-1 USB hub, card reader and egg shaped speakers. 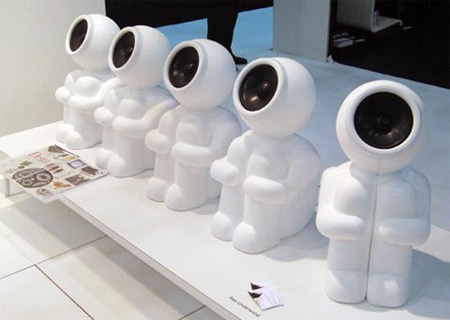 Dead Bbudd speaker system looks like some sort of naugahyde-wrapped dude with his eyes X’d out. 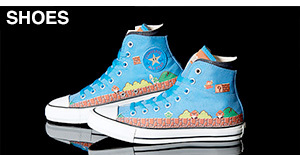 The speakers are embedded into his feet, pumping out the tunes as he sits on your desk. A true, object-based surround experience. 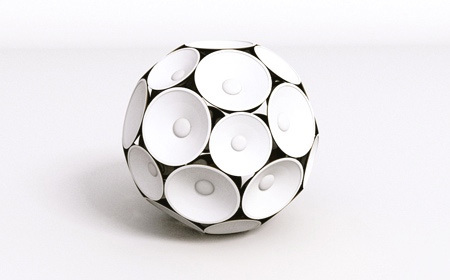 The speaker cones are internally attached to a spider-like structure which is invisible from the outside. 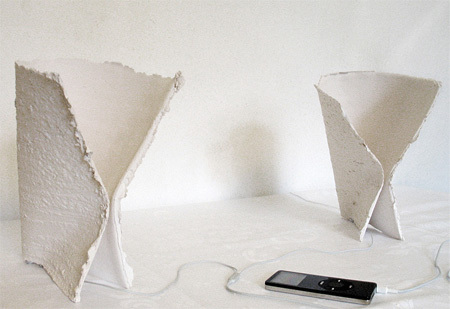 Thin paper ceramic loudspeakers made from discarded musical scores and clay. 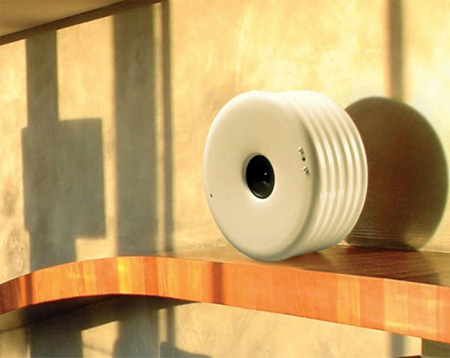 The ceramic columns amplify sound from your strategically placed earbuds to broadcast music like regular speakers would. 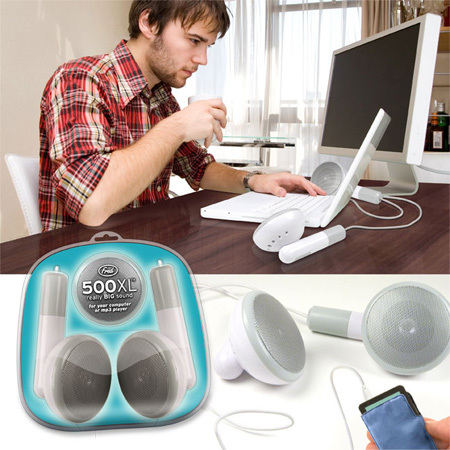 The Yorozu Audio kit lets you use just about anything as a speaker! 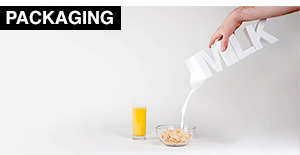 Starting with the included paper milk carton “speaker”, all you do is place the vibrating extension onto a surface with the included adhesive sheets, plug in your audio source, and have an instant audio speaker. The Pea Speaker system is bound to be costly, incurring damages from being tossed around, but that’s what designer Lu Le wants – a playful way to share music. Each pod holds 7 wireless bluetooth speakers. 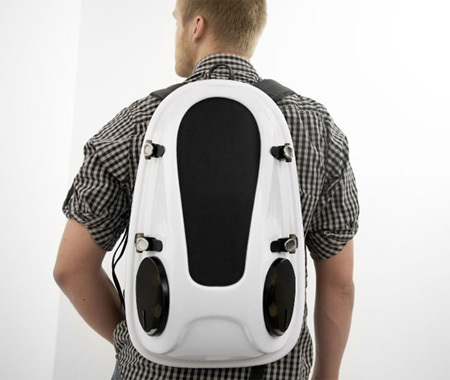 Reppo II is a hardshell boombox backpack with integrated speakers and high quality digital amplifier. 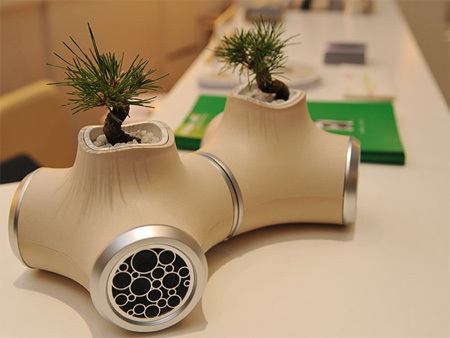 “Kirikabu” speaker combines your choice of potted plants with multi-directional speakers consisting of a woofer, and left/right-channel stereo speakers powered by an internal amplifier. Perfect for PC speaker applications, as well as smaller rooms in need of a less dominating speaker size. 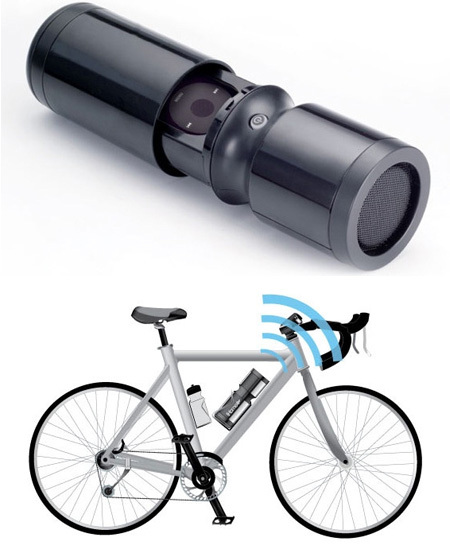 Water-resistant iPod speaker that connects to your bike’s frame. 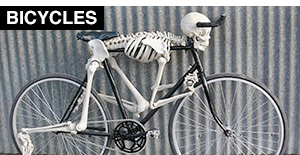 Handlebar mounted remote control allows for safe cycling while listening to your tunes. 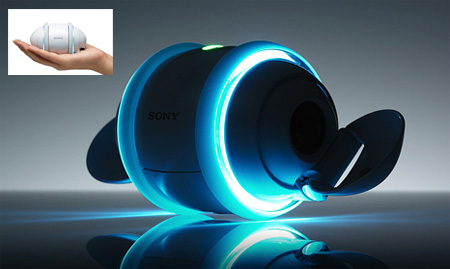 Despite its small size and light weight, Rolly produces surprisingly clear sound. With 180-degree horizontal opposed stereo speakers, listeners can enjoy high sound quality from nearly anywhere. 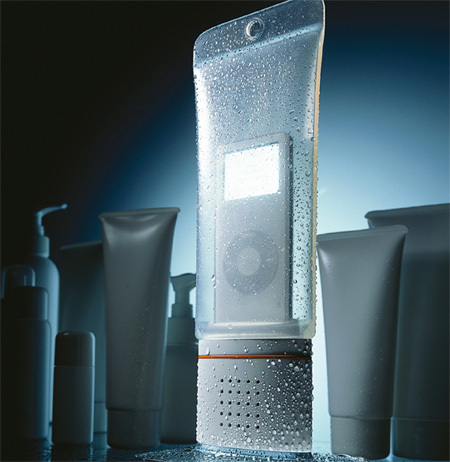 Taiwanese design company Nova has come up with a waterproof speaker system for iPod that looks like a tube of shower gel. Giant iPod earbuds are hilarious! some real gems here. The waterproof speaker is ingenious design. Wow, those are some of the coolest speakers I have ever seen! Those earbuds are NOT 500 times larger. I just measured the standard earbuds, and they’re about 3.5″ long. If those earbuds, were 500 times larger, then they’d be about 0.33 miles long, or 1750ft. That’s ridiculous. Common sense much? Those are great and boy do I have a list of more for you! 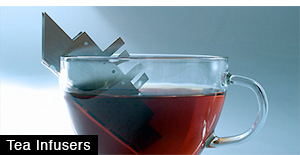 check out these speaker designs! Some of these are very pretty, but I don’t think the phrase “high sound quality” should be in use anywhere on this page. You actually tried to ‘measure’ how large the big earbuds were? Niall, if you think all these speakers just look pretty, you’re kinda wrong. I’ve seen & heard the ZEPPELIN and the quality of the sounds is amazing !!! Maybe you should haved written “I didn’t pay attention in school or I might have guessed that 500x larger refers to the volume, so any one dimension would scale by the cube root of 500, or about 7.94, so 3.5” (What dimesion of an earbud is 3.5 “, BTW?) would become only a little over two feet, not 1750 feet. 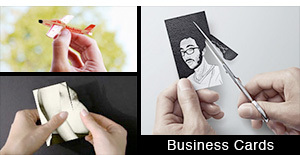 They all look great, but most leave me wondering about the acoustic properties. Also rob, 3.5″ * 500 =1750″ 1750/12 =145.83′. So your math was wrong, and as others pointed out, which dimension are you limiting yourself to? 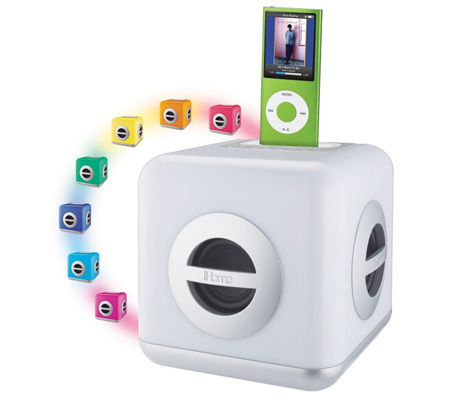 have anyone of u used this H85B iPod Speaker??? i like you and my girl frend!!! Very interesting speakers and systems. I want some of this :D .
These all look nice, but I bet they all sound like crap! it’s amazing, but i like more sony roll sound. The profile of the Rithm Speakers look like the Star Trek logo. 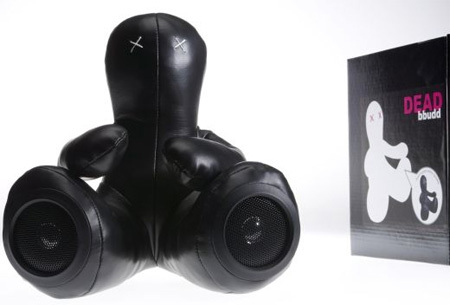 ceramic speaker is totally cool, but i love the munny speaker best…thumbs up on SU! Those are all really cool. 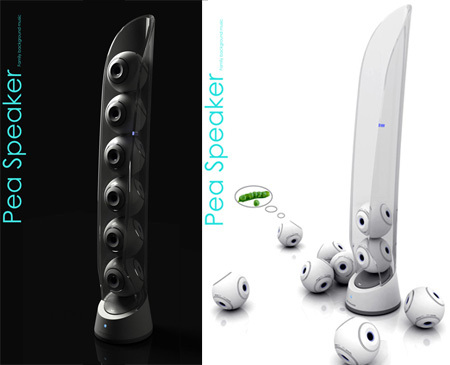 I especially like the SonicUms; speakers that look like speakers? Great Stuff. Here’s a piece of advice: don’t buy the XL500 speakers, the ones that look like the iPod headphones but bigger… what a waste of $50. The plastic is cheap and could break when dropped, and the quality of the sound is just awful. I recommend you stay away from it. sound quality is more importanat than design, no guys? It really depends what you want from a speaker – if it’s more cheap plastic junk to clog our waterways then most of these will be perfect – but that’s not really want the planet needs. We need to be a little more conscious and buy things that are built to stand the test of time. How do i get it…?! 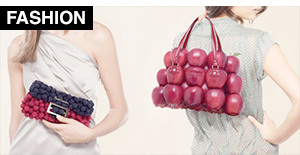 love the apple speakers very creative!! all are really nice. ceramic ones and yoruzo sound kit are just amazing concepts…wow wow wow!! !